How often do you review and update your business model to improve your strategic position, growth potential, and profitability? Invest time in gathering the information you need to build a business model – one that will offer you a better chance of success. If you are currently operating your own business, starting a new business, or are the manager of a business, the following 26-point evaluation test will guide you through an exhaustive and objective evaluation of a business plan. This exercise will help you improve your business model and strengthen your company’s strategic positions, profitability, and continued success. For each of the 25 points, rank each evaluation point good, average, poor, answer unknown, or not applicable. Do your homework to obtain accurate data about customer needs and wants, the size of the market, and acceptable price points. Keep in mind this is not a pass or fail exercise, but rather a tool to analyze the weaknesses in your business model so you may uncover the correct answers and proceed down a path of success. 1) Demand: Is the purchasing priority high? i.e, does the consumer have a real need for the product? 2) Easy to sell: Is the product easy to understand, and require very little consumer education? 3) New product: Is there a proven, real demand? 4) Maturity of market: Is there room in your market for you? The lower the level of competitive saturation the better. 5) Product Uniqueness: Will customers be able to separate your product from the competitions’? 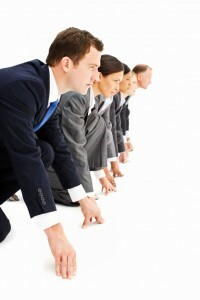 6) Unique sales process: Does your sales process stand out from the competition? 7) Unique delivery process: Does your delivery process stand out from the competition? 8) Unique touch points: Do your prospect and customer touch points stand out from the competition? 9) Real benefits: Does the product or service offer many benefits that respond to customer desires, and separate you from the competition? 10) Emotional benefits: Will your customer derive emotional benefits and pleasures from purchasing or using your product or service. 11) Frustration level: Have you removed possible frustrations that your consumer my face in purchasing and using your product or service? 12) Price point acceptance: do you know the price points your target market will accept? 13) Unit sales: Do you know the number of unit sales required to achieve your target revenue? 14) Market size: relative to the competition, are you confident that the size of your target market is large enough to generate the required revenue? 15) Renewable revenue: Must satisfied customers purchase your product repeatedly? 16) Cross selling and upselling opportunities: Do you offer additional or related products to increase revenue to existing customers? 17) Ease of identification: Can you identify and reach a potential prospect? 18) Marketing cost per sale: Can you reach a prospect and procure a sale cost effectively? 19) Purchasing convenience: Is your product or service easy to purchase, and do you offer multiple procurement options? 20) Marketing message: Is it possible to state real benefits or a unique market position in a concise marketing statement. 21) Margins: do you have a strategic position relative to competition that allows for high margins? 22) Sales and operating cost: Is the cost of selling and providing your product or service to a new customer low? 23) Cost of continued revenue: After the initial sale, do the costs associated with continued revenue decline? 24) Customer support costs: Do the costs associated with customer service after the sale remain low? 25) Expense structure: Have you structured most of your expenses as variable, and kept any unavoidable fixed expenses low?